Italy, China, Japan, India, South Africa.            NNRTIs Protease            Inhibitors            Others Gilead Sciences Inc., ViiV Healthcare, Bristol-Myers Squibb, AbbVie Inc., Boehringer Ingelheim, Johnson & Johnson, Merck & Co., Cipla, Mylan. North America, Europe, APAC, and ROW. US, Canada, UK, Germany, France, Italy, China, Japan, India, South Africa. List of Figure Figure No. List of Tables Table No. Research Methodology For our study on Antiretroviral Market, we have conducted comprehensive secondary research followed by an extensive primary research. In the process of secondary research, we have scrutinized industry documents, accessed from open sources, premium paid databases (Bloomberg, Thomson Reuters, Factiva) and our internal knowledge base. In the process of primary research, we have interviewed various industry experts across the value chain of Antiretroviral Market. Global Antiretroviral Market Rapid rise in HIV prevalence, especially in lower and middle income countries has impelled the market growth in actual period. 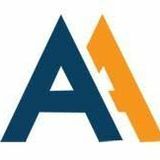 Global Antiretroviral Market - Regional Analysis North America dominates the global market and expected to creates its dominance till 2023, while APAC is expected to increase in forecasted period. 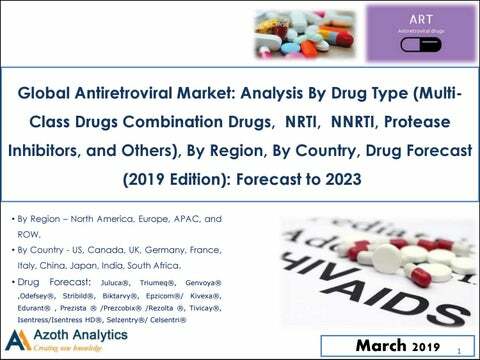 North America Antiretroviral Market- By Drug Type Multi-Class Drugs Combination dominates the market of Antiretroviral in North America, NNRTI and PI are expected to witness negative growth. North America Antiretroviral Market- Country Analysis Among the North American Countries, United States dominates the market of Antiretroviral due to large patient base and highly advanced medical infrastructure.